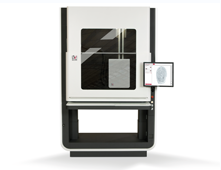 EVISCAN is a high tech workstation for detecting, enhancing and preserving latent fingerprints without any prior treatment with chemicals that provides a contactless, digital process in which the evidence remains 100% unaltered. 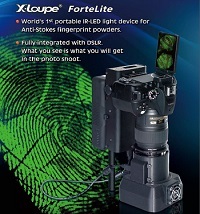 The Attestor Forensics NINcha P31 offers a portable system built within a waterproof peli case for developing fingerprints using Ninhydrin, DFO or Indandione. 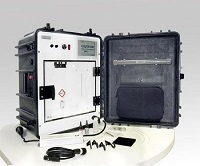 The compact size makes the cabinet ideal for use in crime scene vehicles and remote locations. 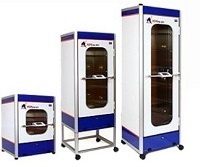 The Voigtlander Forensics CYKO30 Superglue cabinet offers a portable 30 litre fuming cabinet that is ideal for crime scene vehicles and remote locations. It can operate on a 12V battery or mains power supply. 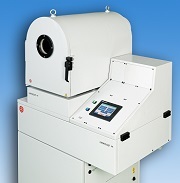 The Lumos Technology Fortelite. 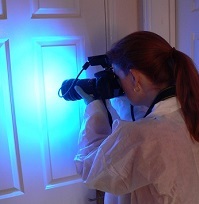 The worlds first portable IR LED lighting system for anti-stokes powders. 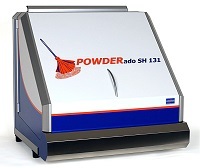 The POWERado SH131 from Attestor Forensics is a downdraft filter workstation for fingerprint power application. 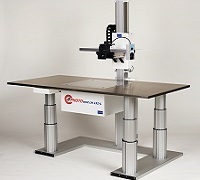 The Laboratory Imaging Dactyloscopy Workstation is a for fingerprint imaging, processing and comparison. 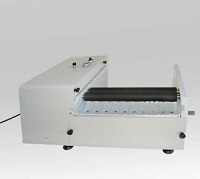 The Voigtlander Forensics Vacuum Cyanoacrylate Superglue Chamber offers a system for developing fingerprints with cyanoacrylate within a vacuum which provides an excellent method of developing prints for example on partially closed plastic bags, drugs wraps. 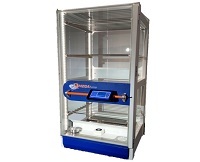 The HHV Ltd range of Vacuum Metal Deposition (VMD) chambers provide a low cost and reliable techique for fingerprint development. 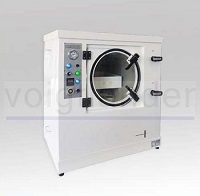 The Voigtlander Forensics DFO / Ninhydrin / Indandione motorised immersion bath offers a portable bench top system with motorised control for the application of chemical treatment on to evidential material such as paper.